Henges “appointment only” showroom means you get uninterrupted time with our professional design consultants. 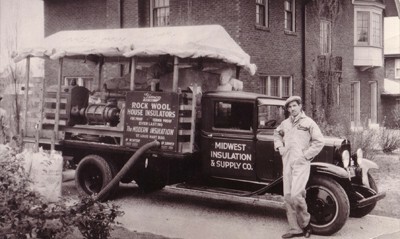 From a single insulation truck back in 1932, Henges has grown to serve thousands of home and business owners throughout the Midwest. If you are remodeling one room or building 100, our one-stop convenient shopping environment will make Henges your company of choice. Our friendly and helpful staff are always innovating new and better solutions. We cater to your needs and desires on YOUR budget. Henges Interiors is the successor to Midwest Insulation and Supply Company, incorporated in March, 1932 by J. G. Henges. The name was changed to Henges Company in 1940 after it had become a very successful diversified building specialty contractor. It was split into two companies in March, 1969 with J. G. Henges, Jr. as owner of Henges Interiors, which continues as the sole operating corporation. We are proud to be serving the third generation of some of our early customers.